Often, training materials can essentially be derived from documentation, for example, from a user manual or from online documentation (the single source publishing approach). 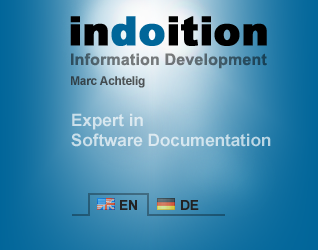 Do you not only need technical documentation but also training materials? Although technical documentation and training materials aren’t the same, they have a lot in common: In both cases complex technical information needs to be described easily and effectively. Often, training materials can essentially be derived from documentation. Depending on which authoring tools are used, both documentation and training materials may even be generated from the same source (single source publishing).